This month we are going to talk about using Vellum on your card. There are many different ways to use it. One OSA (OrientalStampArt) member offered a tip of using black vellum as a layer beneath your top layer where your image is. Using the vellum adds less weight to your card than regular black card stock does. There are so many pretty patterned vellum papers out there that will add dimension to your card as well. You can use vellum to soften your images underneath – such as a candle, a scene where you used sunshine, or just to mellow or soften for a special effect. The vellum might also hide blemishes or errors you might have made on your image. You can stamp on vellum as well. Make sure you gently set your stamp down before you start pressing because it might have a tendency to slide the same as it does on glossy paper. It takes quite awhile to dry on vellum so it helps to heat set it. I personally prefer embossing the images I put on vellum. 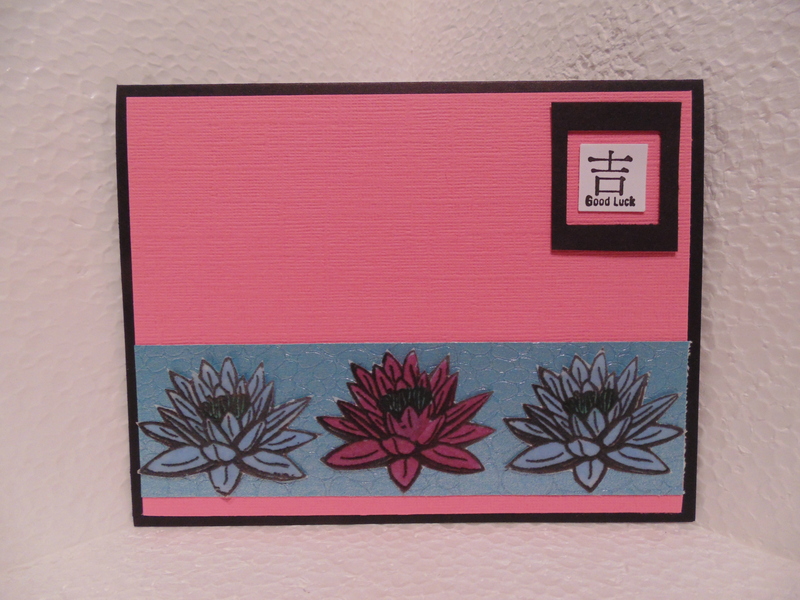 You can stamp your image, heat set or emboss it and just use it that way on your card. If you want to color it, then turn the vellum over and fill in the colors on the side you didn’t emboss for a stained glass look. 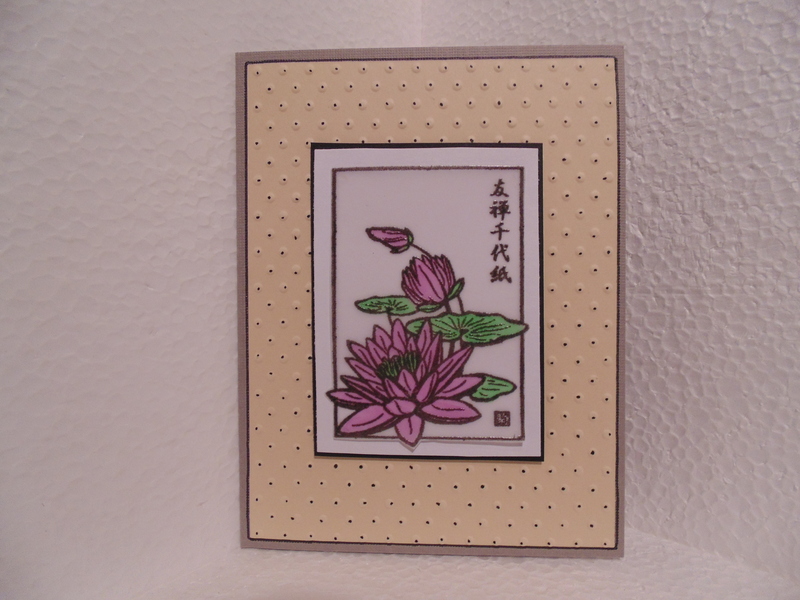 I mounted the vellum onto a piece of white card stock and then mounted that white card stock on black cardstock. I took a glue dot and tore it into tiny pieces so that piece used one glue dot torn into five pieces – one in each corner and one in the center. They are so small you can’t see them so they work great. I found if you stamp a butterfly on your card and on a piece of vellum, color both (coloring the vellum on the back side), then cut out the vellum piece and mount just the center of the butterfly to the card, it gives life to the butterfly and your receiver of your card loves the 3-D effect. Have fun with this month’s Technique Challenge. Can’t wait to see the beautiful cards you make.